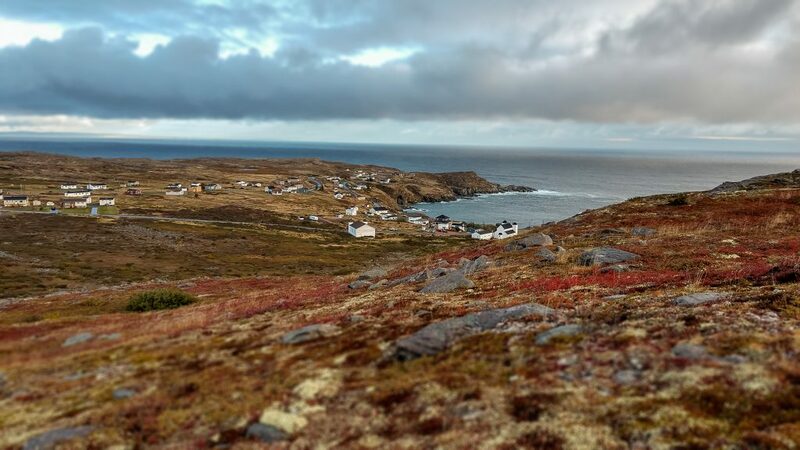 Founded in the late 18th century by families from neighboring communities, Grates Cove is now a National Historic Site of Canada. The historic designation recognizes the hand-built, thrown and stacked rock walls criss-crossing approximately 150 acres within the community and adjacent treeless landscape. The walls enclose small fertile garden or pasturage plots and protect them from the harsh winds that whip across the barrens. Generally, the plots were communal, and represented a shared land ownership system that is singular to Newfoundland. The system likely with roots in the land transfer systems of Irish settlers and required the cooperative efforts of the entire community to build and maintain. 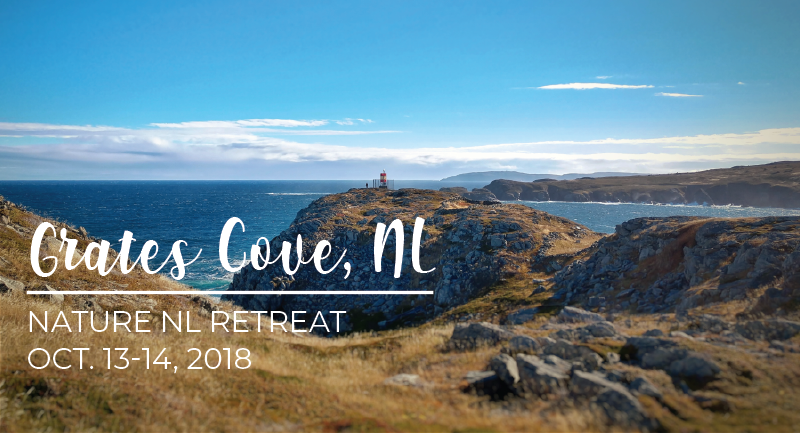 If you have heard of Grates Cove before, it’s probably because of the outstanding hospitality of its residents, including our hosts at Grates Cove Studios, who provided both lodging and a wonderfully Cajun-inspired meal for us during our visit. The Big Hill Boardwalk trail above town. The name says it all: it crosses fields of berries, shrubs and lichens, rising up to the crest of a big hill with great views over town and out to sea. Day 1 was a little cool and foggy, but that definitely adds some intrigue to an already fascinating landscape. 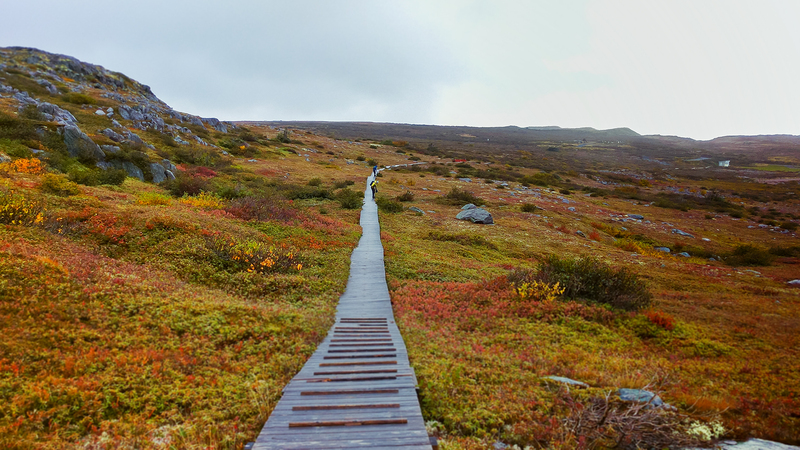 We explored the boardwalk trails in town, and then headed west across the barrens to tour the rock walls and search for the eagles that nest here every summer. 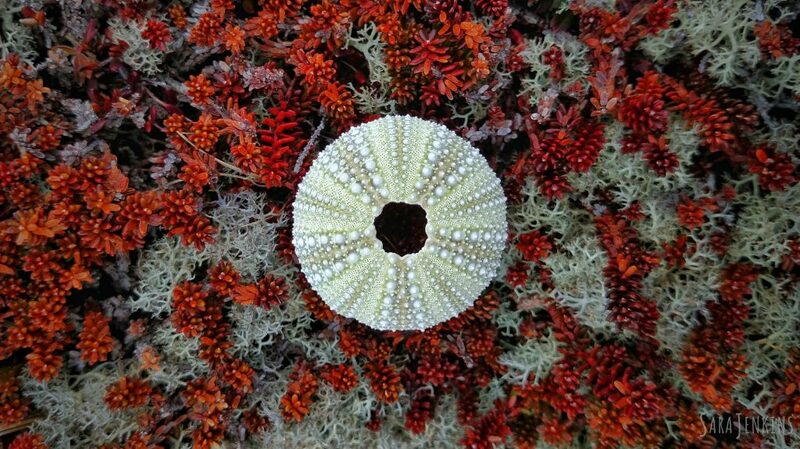 In addition to the lichens and heath plants shown in the photos, we also spied northern gannets (Morus bassanus) diving offshore and a small group of Lapland longspur (Calcarius lapponicus) in winter plumage foraging along the trail. Foggy views from the top of Big Hill today. On a clear day, the network of rock walls around town is best viewed from this vantage. 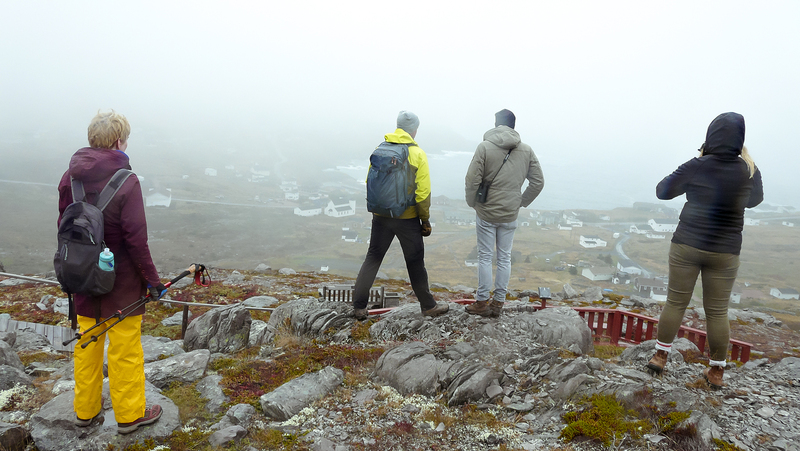 (left) Looking westward off the tip of the peninsula; (right) examining the lichens along the boardwalk. 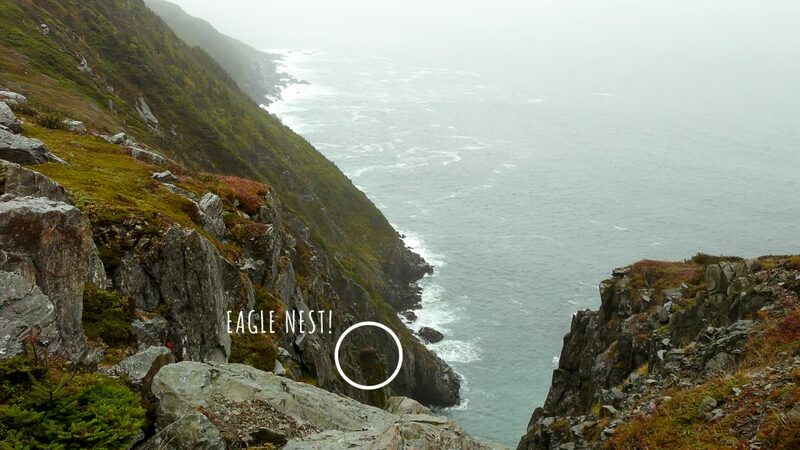 A precarious spot for a nest, but the resident bald eagles at Grates Cove are undeterred. We’ll have to come back in the summer to look for eaglets. Day 2 was a quick morning hike in search of blueberries, then heading north out of town and down to the rocky shoreline. We were rewarded by sunshine and dramatic waves. After the hike, some of us stayed behind to harvest partridgeberries (Vaccinium vitis-idaea) for canning, and others headed south to explore some of the hidden beaches along the Baccalieu Trail. Early morning light over Grates Cove reveals the ruggedness of the hyper-oceanic barrens. 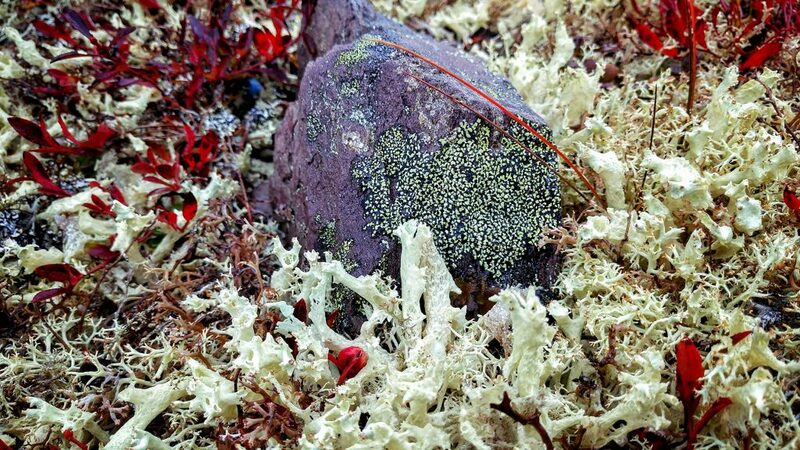 How many species of lichens can you find in a single image? Cool weather brings out the intense colours of the barrens. The northern tip of Bay de Verde peninsula rewards you with hidden coves like this one. Harvesting partridgeberries (aka lingonberries) for snacking and for syrup. We hope to go back in the summer when nearby Baccalieu Island Ecological Reserve hosts millions of pairs of nesting seabirds for some world-class birding. Would you be interested in joining us? 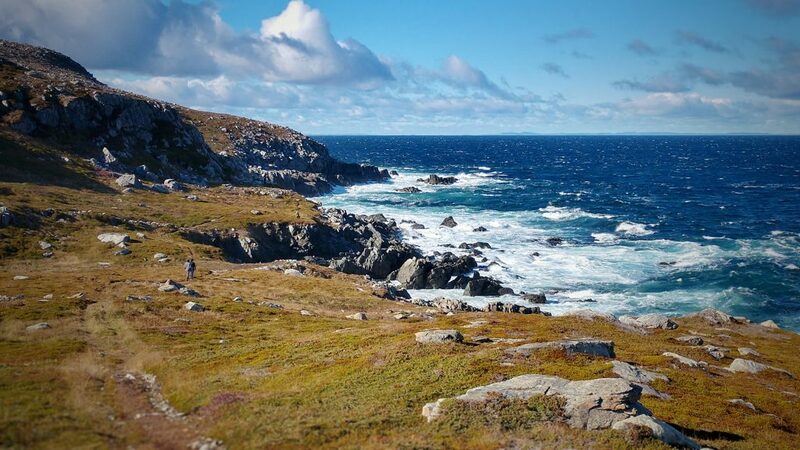 Or if not to Grates Cove, have you got a particular adventure-worthy spot in mind for another mini-adventure? Let us know by contacting us via email (naturenl@naturenl.ca).